Welcome to the twenty third day of the Dream Well advent calendar! Today I am writing about a feast or banquet, to dream of a table laden with food and drink, or of eating and celebrating with an abundance of food. I have already written about food in dreams in my post here. A feast or banquet is a somewhat more specific symbol. To feast is to mark a change, or recognise the significance or a certain time. Feasts and banquets fall out of the realms of normal eating, and elevate it to something sacred, symbolic and even mystical. Feasting celebrates the relationship between the physical body and the divine spirit, feasting enhances emotions and brings people together. To have much food in dreams can be a symbol of abundance, of achieving a degree of material security, and even success, that can now be celebrated. Dreams of a feast may come after a period of struggle, financial hardship or difficulty. But food in dreams can also relate to spiritual nourishment, so a feast in a dream may come after a time of emotional struggle, loneliness or isolation that has come to an end in joyous celebration of sharing with others, connecting with a higher power or deeper sense of Self. To feast in a dream can be a symbol of indulging, or enjoying, of giving into sensuous pleasures. A feast in a dream can be a sign that we are celebrating abundance, but a feast can also warn us against over-indulging. Along with an appreciation of abundance must come an understanding of what is wasteful. Feasts by their very natures are meant to be shared, and if there is something that we are enjoying with abundance in our lives but not sharing with others, feast dreams can remind us that what is not distributed can be spoiled, and should we overindulge ourselves can cause us to become sick. Feasts are also not entirely about food and consumption, but also about marking an occassion and celebration. Feasts are inherently social occasions. In a dream then, a feast can represent the marking of a great personal accomplishment. If we feel we have achieved something profoundly significant that the world has not recognised, we may dream of a feast as the various aspects of our psyche join in celebration. We may also dream of a feast as a sign of giving thanks or appreciation for what is good in our life, as feast represent sharing and and awareness of what is valuable and special in life, the basics we need to survive are also those that can elevate living beyond the mundane. 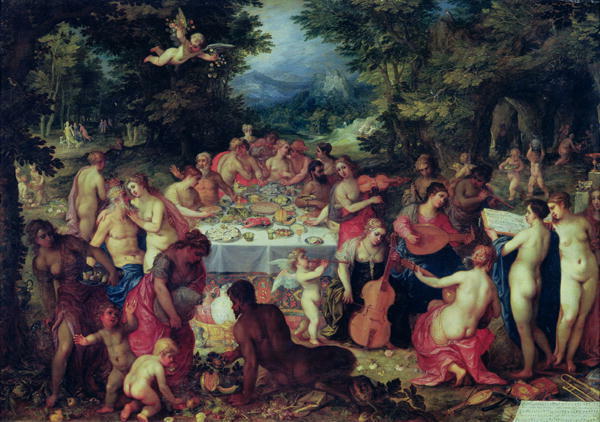 Feasts are often accompanied by music and dancing. In dreams, the music we hear, the kind of instruments that are played etc can reveal more layers of personal meaning. Are the instruments ones that our grandparents might have heard? This may indicate a connection with our past and ancestors. Is the music and dancing exotic and foreign? This may be a dream about growing in new and unexpected ways, taking on new challenges and even travel. Feast dreams remind us that both the physical and the spiritual are important and should be celebrated, feast dreams urge us to share what we have, to remember our friends and family and neighbours, and to sometimes step outside the day to day pattern of existence to enjoy the magic of what being alive is all about. site loading speed is amazing. It sort of feels that you’re doing any distinctive trick. i think this is a fair answer though it did not serve my purpose because i was feasting with my long lost friend.